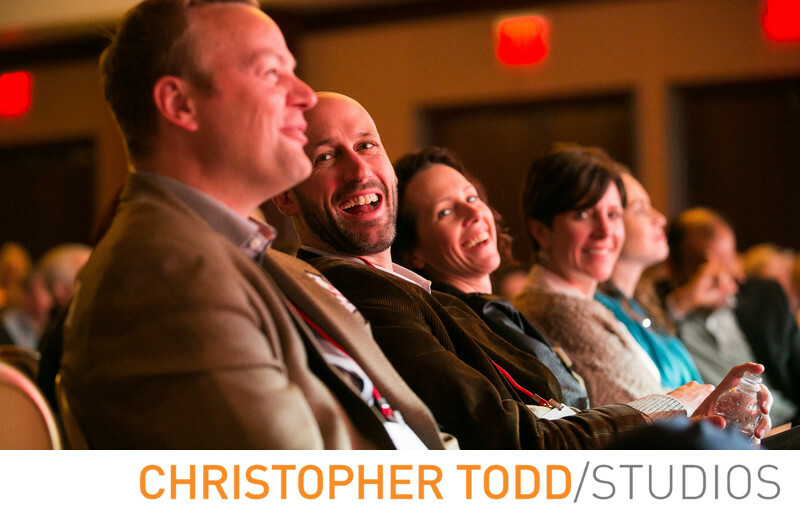 We love taking candid photos of employees during work conferences. This photo is of four Avery Dennison employees laughing during the Keynote's inspirational speech. It was held in the conference room at Hyatt Regency Huntington Beach. 1/60; f/2.8; ISO 3200; 95.0 mm.